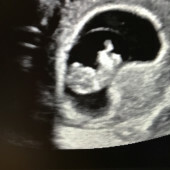 Baby Girl McPherson thanks you in advanced and can’t wait to join the fun soon! This registry is solely online, however, if you purchase a registered item at a brick and mortar store, simply come back to this registry and mark it as purchased so others know it’s no longer available. Once an item is reserved and purchased, it will no longer appear on the registry.